There are many air conditioning units that you can look for these days. These include many AC units that are powered to cool off every space in your home. Of course, we are talking about a central AC unit. This is ideal to have as it can work well for all parts of your home and may be easier to maintain than a traditional window-based unit. It can be perfect for your home but the parts that come inside it can be challenging and tough to work with. You will need to get a repair professional to help you out with fixing all parts of this useful air conditioner in your home. The condenser is a critical part of the central AC unit that is responsible for managing the air that moves through the machine. While this part of central air conditioning is useful, it can lose power and its compressor may not work as well as needed. You must get in touch with an appropriate expert to fix this problem as it arises. The compressor is a very sensitive part of your AC unit. 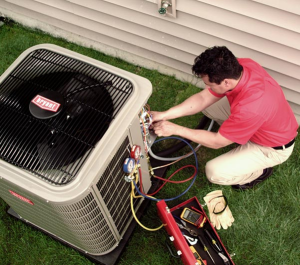 You must get it repaired before anything else in your AC unit can be fixed. A repair specialist can easily help you to fix up this part of your setup. Contrary to what you might think, you cannot just go and buy some refrigerant at a store and add it to your AC unit without putting yourself at risk. You will have to consult a professional who can assist you with getting your AC unit prepared the right way. A professional repair expert can help with getting your refrigerant materials refreshed. In particular, the expert will actually be able to take part the air conditioner and add the refrigerant as required without putting the unit at risk of being damaged even further. One critical problem that comes with many central AC units can entail such a unit failing to work as well as needed. In particular, an AC unit might not work properly for a larger home after a while. Sometimes it comes from cooling and heating coils struggling to take in air, what with the fatigue they have developed over time. In other cases it may be due to the evaporator being too dirty. Either way, there is always going to be some kind of problem that will cause such a machine to stop working as well as it should. A central AC repair professional can assist you with getting the most out of any machine that you need to have repaired. Be sure to consult a central air conditioning repair specialist in the Dallas TX area if you ever have problems with your unit and you need to get them taken care of. Only a proper specialist can help you get the most out of your setup without putting anything else in your home at risk of serious harm. This entry was posted in Air Conditioning Services and tagged Home AC Repair Services by admin. Bookmark the permalink.